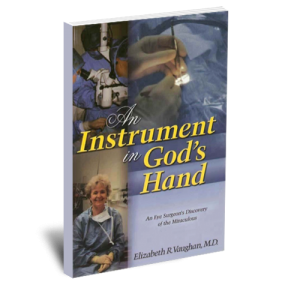 About Author – Elizabeth Vaughan Ministries Inc.
Dr. Elizabeth R. Vaughan received her BA degree at the University of Texas, where she was chosen Outstanding Student. She graduated from Southwestern Medical School and did her residency in ophthalmology at Parkland Memorial Hospital in Dallas, Texas. She did postgraduate training at Harvard Medical School. 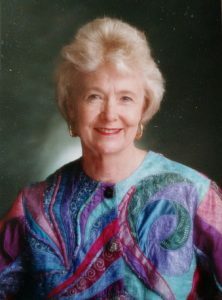 Her honors include World’s Who’s Who of Women (1979-80), Who’s Who in Texas (1973-74), Who’s Who of American Women (1974-75), and International Who’s Who of Intellectuals (1980). 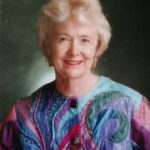 She holds membership in American Medical Association, the Texas Medical Association, the Dallas County Medical Association, the Christian Medical Society, the American Academy of Ophthalmology, the American Society of Cataract and Refractive Surgery, and the International Society of Refractive Surgery. She is on the clinical faculty of Southwestern Medical School in Dallas teaching eye surgery. 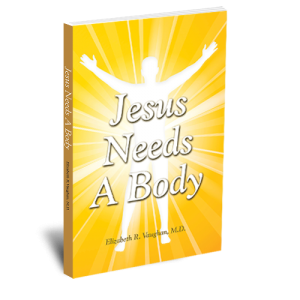 Since her commitment to the Lord Jesus, she has traveled throughout the world sharing the love of Jesus and His healing power. She has ministered in many unusual places, including Russia, Costa Rica, Israel, Jamaica, China, Indonesia, Mexico and South Africa. She has been a guest on many television programs, including CBN, TBN, PTL, That’s Incredible and The Phil Donohue Show. She also built a 5-million watt television station in the Dallas Metroplex. 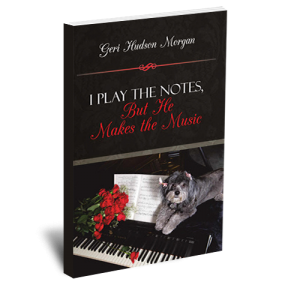 She was hostess of a live daily Christian TV show and has been heard on radio for many years. Dr. Vaughan has a large practice of ophthalmology in Dallas, where patients come from as far away as Pakistan and South America to have her do their eye surgery. Recently she has opened an eye surgery center in Beijing, where surgery is done free of charge for poor blind people. The first mobile examination unit was launched in June 1999 to reach those in need that live in remote areas of China such as Inner Mongolia.